Podcast series launched across Spreaker and YouTube. 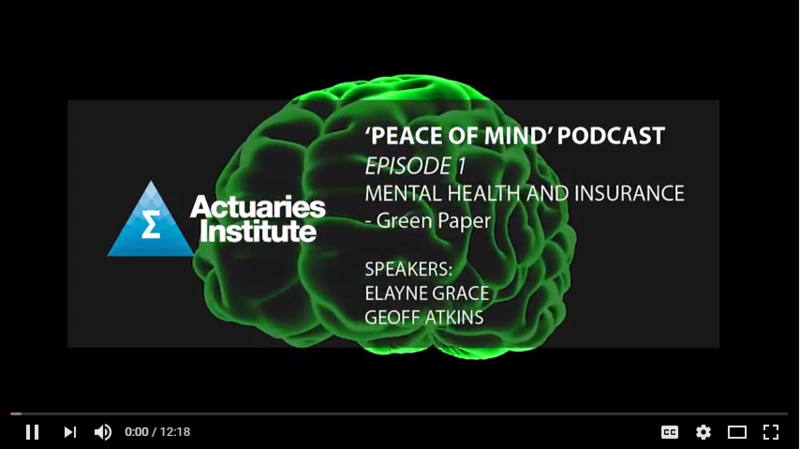 Following the release of the Mental Health and Insurance Green Paper in 2017, the Institute has launched a podcast series discussing issues raised by the paper. 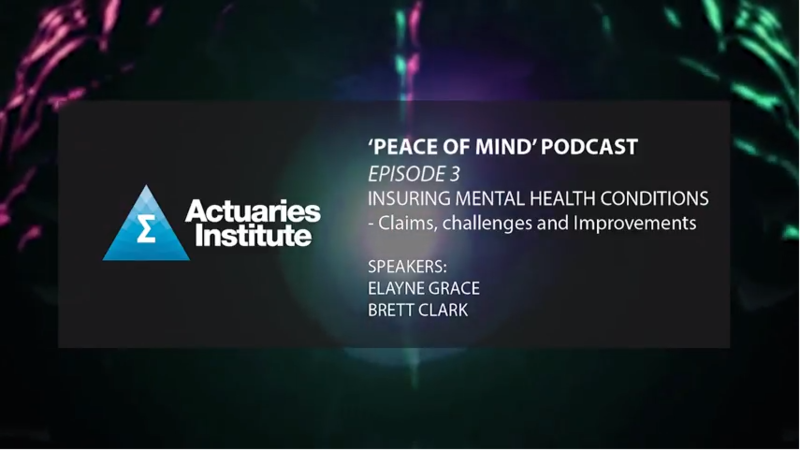 Peace of Mind, hosted by the Institute’s Acting CEO Elayne Grace, features a range of guests including Geoff Atkins, Principal at Finity and co-author of the paper, CEO of TAL Brett Clark and Co-Chair of the National Mental Health Commission Lucy Brogden. The series has had a total listening time of 132 hours to date, with listeners and subscribers worldwide. Coming soon is a series on careers and leadership titled CareerView, in which industry experts and recruiting professionals discuss all aspects of career progression including networking, creating positive relationships with co-workers, securing new roles and self reflection. 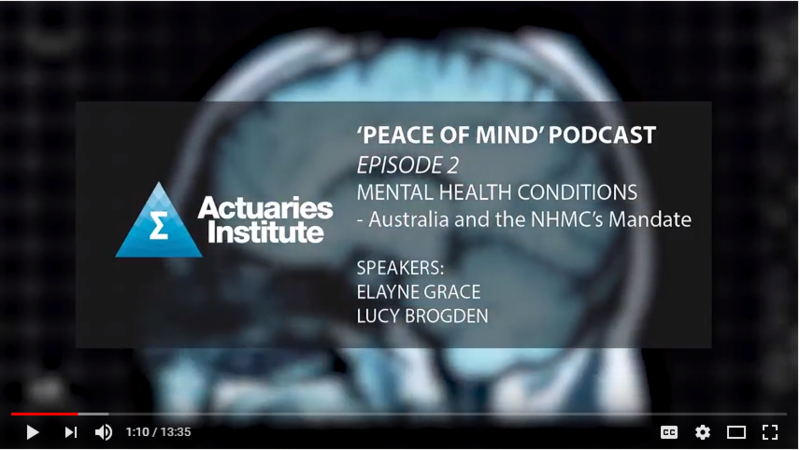 The first episode features Lesley Traverso from Talent Insights Group and Acting CEO Elayne Grace discussing how to prepare for your next role. Private Health Insurance Bill Shock – What Can Insurers do to Help? 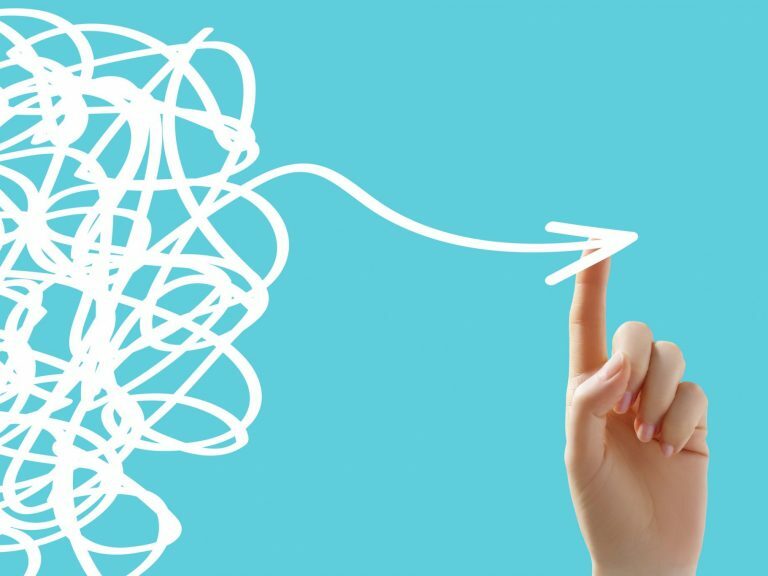 Genetics – a testing time for Insurers? This year, we also plan to launch video live stream discussions of topics that concern the profession, featuring Members and prominent industry leaders. This will be a complimentary addition to the growing podcast platform to ensure Members’ preferences for audio and/or video content are in sync. We aim to give more options to those who want to tune in to live debates and discussions in audio and video form across YouTube, Facebook and Spreaker. To maintain a standard of excellence, we are incorporating more motion graphic elements to ensure our videos continue to better engage members and to increase awareness of the profession’s expertise. We are working closely with stakeholders, Members and leaders of committees to redesign our approach to social media and content creation. Our Members deserve easy access to relevant, fresh and engaging content on the platforms they use and know best. 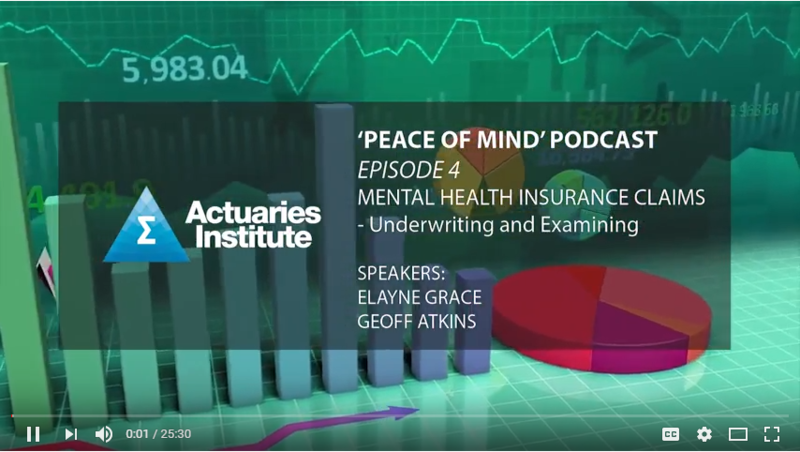 Creating short videos, images and articles focusing on topics relevant to our audiences across Actuaries Digital, Facebook, Twitter, LinkedIn and Instagram will ensure enhancement of brand Actuary, and effective promotion of our events and services to members. We are aiming to stay ahead of the curve and curate content we know our Members will enjoy. In the rapidly changing world of new media, video remains unstoppable and the best content pathway to communicate to Members and our stakeholders. With podcasts on the rise, it’s crucial we appeal to our audience through the most effective channels with high quality content and creative techniques. If you have an idea or topic you want to discuss, please get in touch – we’d love to hear from you. Stay tuned for upcoming videos, podcasts and events! 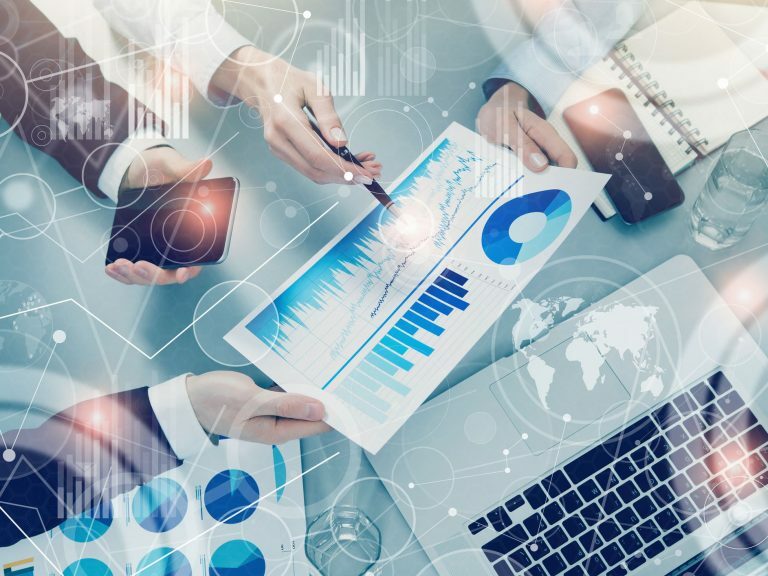 It’s time to bring actuaries and their hard work into the social stratosphere. Justin Matters is a Digital Media Specialist and works with the Communications and Marketing team at the Actuaries Institute to produce rich media. Justin is responsible for creating content to promote brand Actuary and engage members, stakeholders and potential actuaries through multimedia content. He has over 10 years in experience as a content producer. Prior to joining the Actuaries Institute, he was Content Producer at PwC and Strategy & Production Coordinator at Totem Advisory and Studio working closely with film studios and clients including Telstra, Queensland Government and the Commonwealth Games on exciting projects.